It’s very important to use fresh product when you are finishing a project. There are many reasons, but the biggest is that you can actually ruin your entire project right near the end if you use a bad can of finish. Not only does ruining a project cost money, it also costs time and energy. The process of losing a project right near the end is devastating. More so if you had a deadline, or was planning on selling the piece. In some really bad cases, it can be extremely difficult or impossible to remove the finish. This means starting over, and sometimes it can be really though to muster up the energy to begin again right after failure. 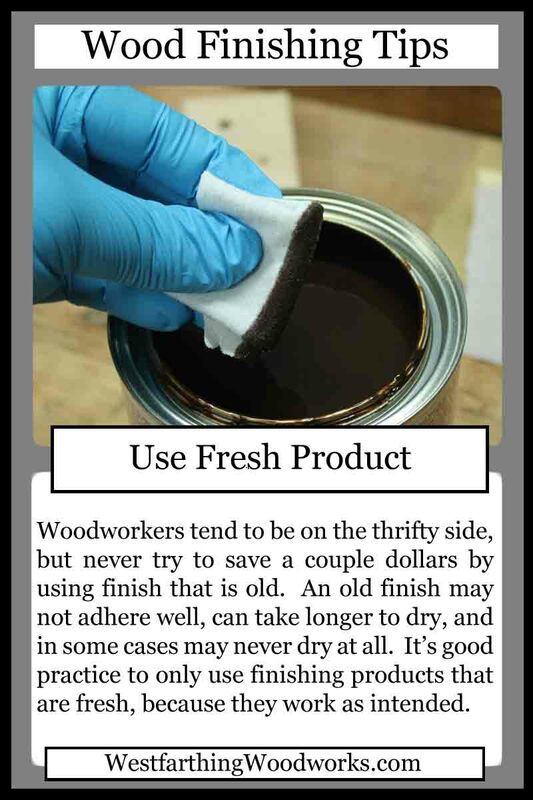 Wood finish manufacturers put dates on their cans, to indicate when they expire. This is one of the best ways to check and see if your finish is still good. It’s not the only way, and sometimes it can go bad before or after that date. The date on the can is meant for finish that is stored properly. If you are leaving your finishes outside in extreme weather, or leaving the lids off for extended periods of time, then you have to shorten that expiration date. Also, cans that have a very small amount of finish inside them (due to use) will start going bad and drying faster than fuller cans. On the other hand, a full can that is stored well can many times be just as good, even if it’s a little past the expiration date. Back to being frugal, it’s wise not to buy more finish than you need. Not only does this mean fresher product when you use it, but it also means that you will not be tempted to use a finish that may be too old. This method does require going to the woodworking store more often, but it’s a fun trip anyway and your projects are worth it. When you go to the woodworking store, just buy what you need based on the amount of projects you make, and the length of time the product lasts. For example, if you are about to buy a finish that will last a while, and you know that you are going to be making more projects with the same finish, then feel free to buy a little more than you need for that one project. The extra will be used in the future, and before the expiration date anyway. 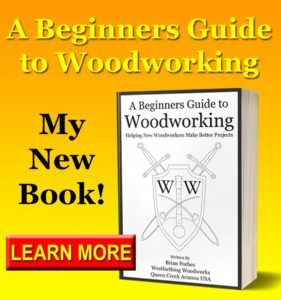 Quite possibly the best book that I have ever read on wood finishing is by Bob Flexner, and is called Understanding Wood Finishing. Inside, he tells you all about the different kinds of finishes, and how to apply them. What I really like about Flexner is that he goes into the myths and the mistakes about wood finishing that people think are real. He also gives you a lot of tips, which I love, and they can make you a better wood finisher really quickly. Lastly, he really goes into detail on how finishes work. This can be too much information for some people, but you don’t have to desire that level of knowledge to benefit from the book. You can be brand new, or an expert, and Flexner can teach you something.